Location: paris france hi every body i m dagmawi from paris i would be very glad to have a habesha lady, any one wants to contact me pls email me ! Location: U.S.A/DC Hello deki Tigray deki adey deki rubay My name is Alex living in Dc i am single man looking for woman who is Tigrawete. Location: USA I am a 32 years old man who is 5 feet and 9 inches tall, weigh 165lb, and has a degree in Mechanical Enginering. So I would like to meet a Tigrean Girl between the ages of 23 and 27 years. I am pretty much concerned about girls Bilogical Clock so if you are older than 27 years we can just be friends and that is all we can be. Keeping it real!!!!!! Location: Detroit, Michigan This site is WONDERFUL!!! Much love to Ethiopia. May her healing be swift and long-lasting. I am a 34 year old single female looking for an pen pal. I am 5'6'' and 135 lbs. Now for more serious business. As a descendant of Africa living in USA, I hold Ethiopia in the highest esteem. Why? You are the only country on the continent of Africa to have not fallen under foreign rule. You are also the birthplace of civilization, the keeper of the ark, and the birthplace of great emperors that many afr-americans admire. It is my personal goal to fight stereotypes. So many unlearned people from here don't know how advanced African and Ethiopian cultures truly are. And so many unlearned people from African countries look down upon African-Americans, not understanding that our love opened the door for them to travel and study in previously unattainable lands. We have so much to celebrate in the name of freedom. And so much work to do... 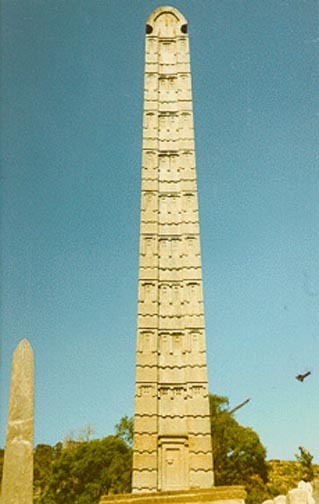 I have a degree in International Business and am terribly to anxious to set my eyes upon Ethiopia before I die. Please respond to this e-mail if you dared to be intellectually stimulated. Location: St.louis mo. hi all tigrais girls. i am 22 years old man i am looking a girsl who want have fun and get to know each ather ask me more if u want more fun and i make u flay girl if u want make fun i meku more fun come try to get to know me girl. Location: USA I'm educated, handsome, confident person who value a good relationship based on a 1 to 1 relationship, mutual cooperations and respect. I strive to be a good example to others as Abraham did to Sarah and Sarah to Abraham; because The Opostle's Creed is My creed too. I value good character,genuine and humble heart in order to bear the good fruits for the years to come. Remember a pure love is not a sexual desire; it is an unconditional grace which is manifested in action otherwise it becomes lust. I ove you and I want you to be happy. Location: sweden here i am open to meet someone that may end last. i am 26 age living in sweden. for more info i need to communicate with intersted ones. Location: USA Hi there! I'm very honest protestant; a healthy person: spiritually, mentally and physically. I see and think on the bright side of the world. I would like to contact my match.